On behalf of CCA families, board of directors, faculty, and staff, thank you for investing in the students at Community Christian Academy. 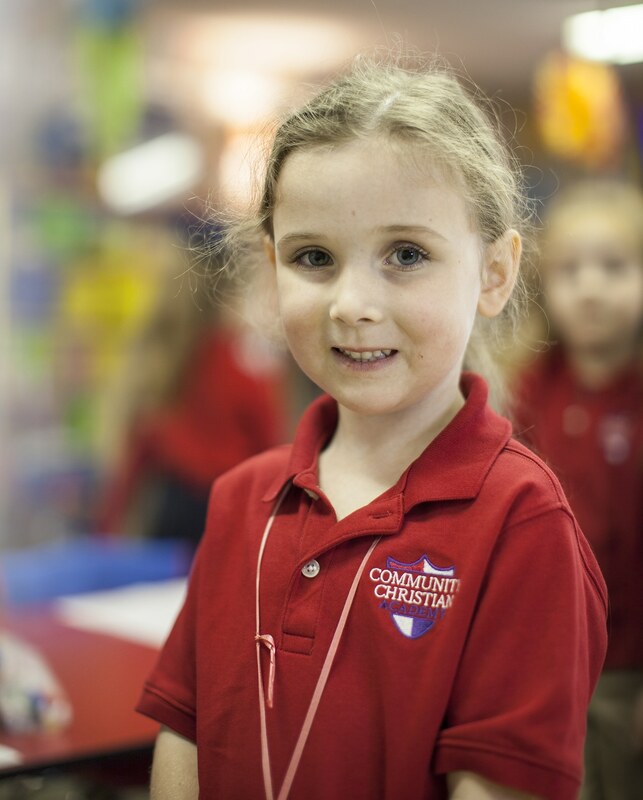 CCA is a Christ-centered school with outstanding academic programs, award-winning fine arts, athletics, and many other programs that are intended to encourage each student to develop their talents and abilities while giving the glory to God. Tuition and fees do not cover the entire expense to educate our students. Programs such as athletics and fine arts are the wonderful extras that we offer that need additional funding. We give God the glory for the blessings CCA has experienced throughout its history. Those blessings have often come through anonymous donations from individuals who want to contribute to the growth of His kingdom through Christian education. We ask that you join us with Community Christian Academy in our mission to provide a Christ-centered environment for area Christian families, where students receive an excellent education based on biblical truth that will equip them to serve God to their greatest potential. To make a contribution, you may mail in or drop off a check at our campus. To give online, please use the Give Now button on this page to make a secure donation. There are specified areas at CCA to which you can contribute. Below is a brief description of each. To make a contribution, you may mail in or drop off a check with the specified gift area noted on the memo line. For example, if you would like to contribute to the technology needs of our school, write “technology” on the memo line. To give online, please use the Gift Now button on this page and make a note in the comments field as to where you would like your gift to be applied. Your gift to the general fund provides assistance to a variety of programs from technology to academic materials to facility improvements. Your gift to tuition assistance allows a student to be a part of the CCA family and benefit from a Christian education. The tuition assistance fund allows us to offer a helping hand to a family who would not otherwise be able to afford CCA. A third-party evaluation is conducted to determine the allocation of funds. Your gift to athletics provides assistance to a variety of teams and sports programs. Your gift to the library provides assistance to our library program in regards to the purchase of new books and new opportunities in the library. Reading is a vital part of student success and our library plays a huge role in providing opportunities for our students. Your gift to Fine Arts provides assistance to drama, art, and music programs. Volunteering at CCA not only helps make our school a better place, it is a great way to become connected, meet other families, and become acquainted with teachers and staff members. At CCA, all staff, parents, and grandparents are considered members of our Parent-Teacher Fellowship (PTF). The purpose of PTF is to serve students, staff, and parents by encouraging fellowship and volunteerism. We strive to maintain a family atmosphere at CCA. Together we can make that happen. (See Galatians 5:16-26; Ephesians 4: 17 – 5:7; Romans 1:18-32). You can bless CCA with your everyday errands. Below are a few options that allow you to use your purchases to give back to CCA, which in turn builds up our programs. Your dollars make a difference! Save “Box Tops for Education” labels that can be found on a variety of products. These are worth 10 cents each. Please check their website www.boxtops4education.com for all qualifying products. If you register, you can purchase online from one of the listed stores and a percentage comes back to the school. When purchasing school or office supplies, let the cashier know you are a member of the CCA family when you check out. CCA will receive 5% of your purchase amount. Our school number is 70040827. We receive gift cards to be used at Office Depot. Turn in your Bans Market receipts to your child’s teacher. CCA will receive 1% of your purchase amount. Monies are used to purchase needed items for the teacher’s classroom. Tuition Reduction Incentive Plan is a great way to reduce your tuition. Inquire in the office for information about T.R.I.P. A full explanation of this program is also located on our web page at www.ccapaducah.org/admissions. Local restaurants offer CCA the opportunity to dine at their facility while raising money for the school. A percentage of the profits made that evening, which is determined by the restaurant, is given to the school. Prairie Farms "Our Caps Your Cause"
On Prairie Farm’s white or flavored milk in gallon or half-gallon sizes, you will find a sticker located on top of each cap. Peel back the sticker to find a unique code that can be redeemed at http://www.prairiefarms.com/our-caps-your-cause.aspx. 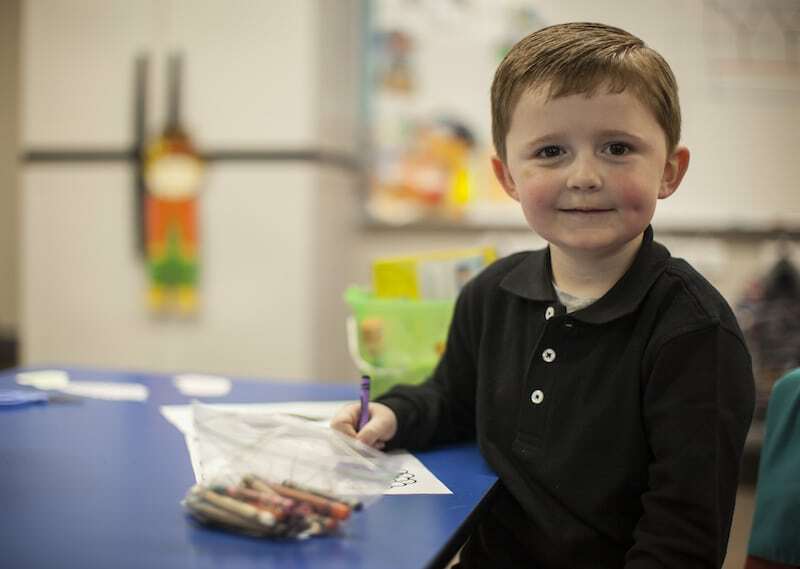 When prompted to choose an organization, select Community Christian Academy. Every cap entered will generate 5 cents for our school. After 1,000 caps are entered, we receive a check from Prairie Farms. Please continue to send your Coke product bottle tops and package special codes to the office. We will input the codes from these and earn rewards. Go to Smile.Amazon.com and register your Amazon account (same username/password). When prompted to choose an organization, select Community Christian Academy (make sure it is the one in Paducah, KY). A percentage (0.5%) of the total purchase price is donated to CCA. Becoming a part of the Kroger Community Rewards Program is easy. Visit Kroger’s secure website, www.krogercommunityrewards.com, choose “Enroll,” and complete the information requested. In the space where your charitable organization is requested, type Community Christian Academy OR our assigned NPO number (81357). You are done! Within 7-10 days of enrolling, every time you shop at Kroger and use your Kroger Plus Card, CCA will be blessed.